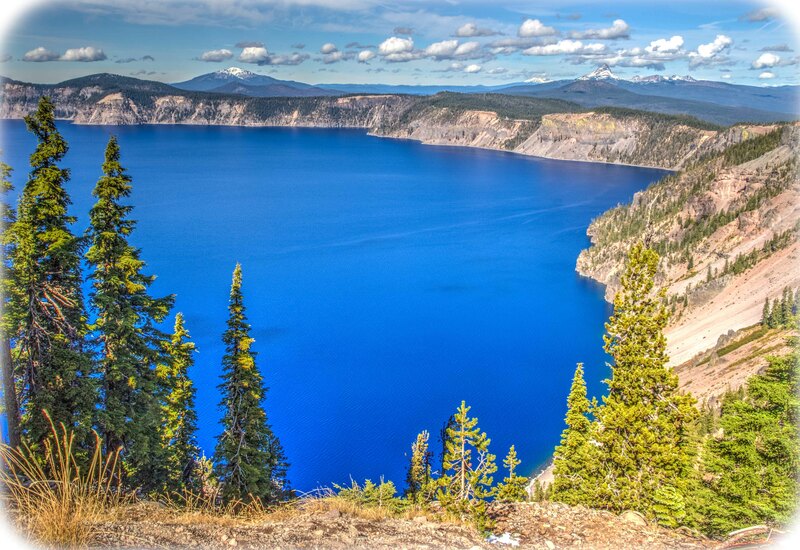 Crater Lake National Park has been on our bucket list for a long time. 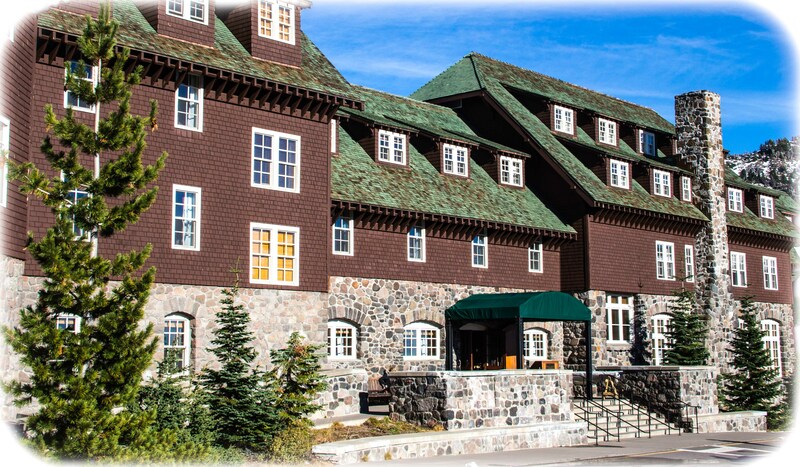 Each year when we would consider going there it was either too early in the summer or too late in the fall. 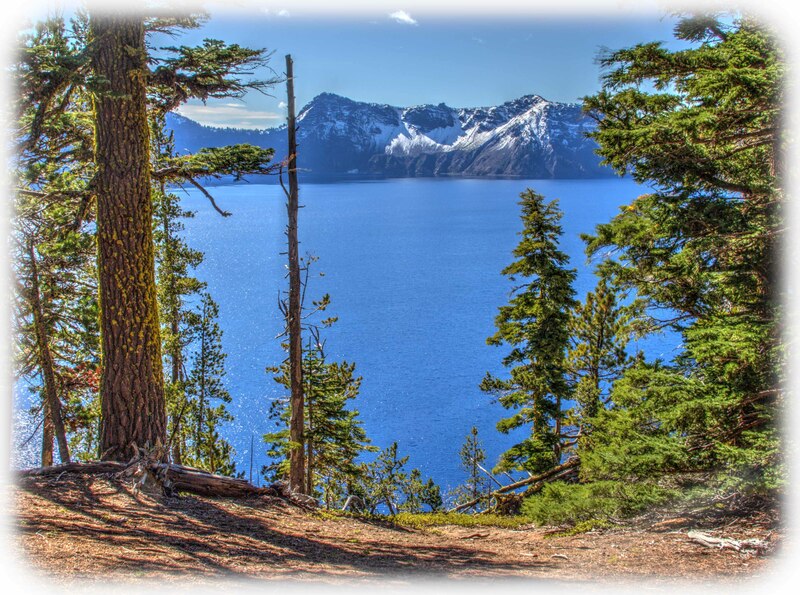 You see there is a very short season at Crater Lake. With an average of 44 feet of snow each year, summer starts late (July) and winter starts early (October). This year we planned to leave western Washington early enough to catch the end of season at the park. What a treat! We had a spectacular clear sunny day if a bit on the cool side. There had been snow that week so we had the additional feature of snow on the mountains. We visited on October 8th. 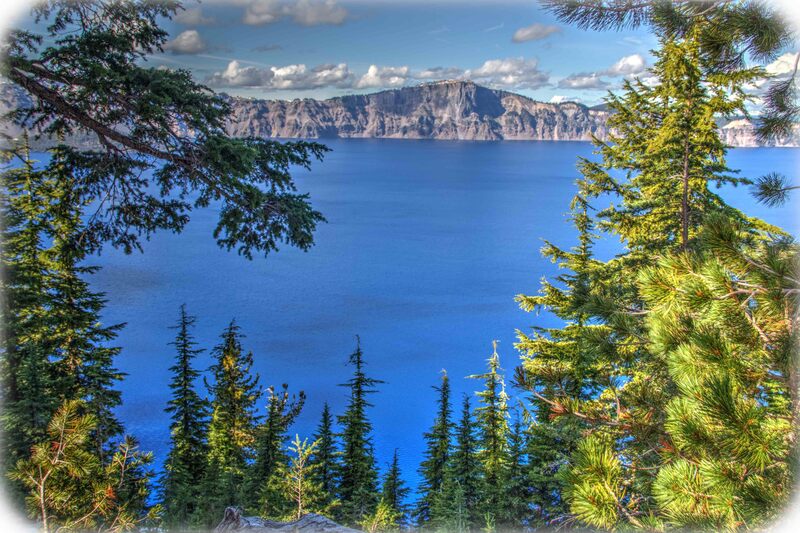 Crater Lake has been a national park since 1902 making it one of the oldest. It was a far sighted person, William Steel, who wrote over a thousand letters to convince President Cleveland to set aside the area. The place had been first visited by Euro-Americans in 1853. 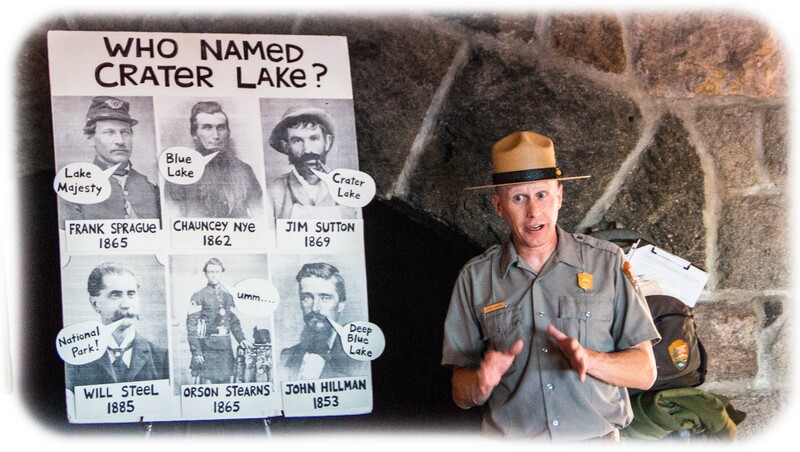 We were fortunate to see a ranger program on the naming of the park. It was a very entertaining story of the quirky way the name was established. A newspaperman from Portland rowed a leaky boat to the cinder cone island in the lake and peered into its central crater. He then declared the name “Crater Lake”. Trivia alert: the name was derived from the crater on Wizard Island, not the huge lake itself. 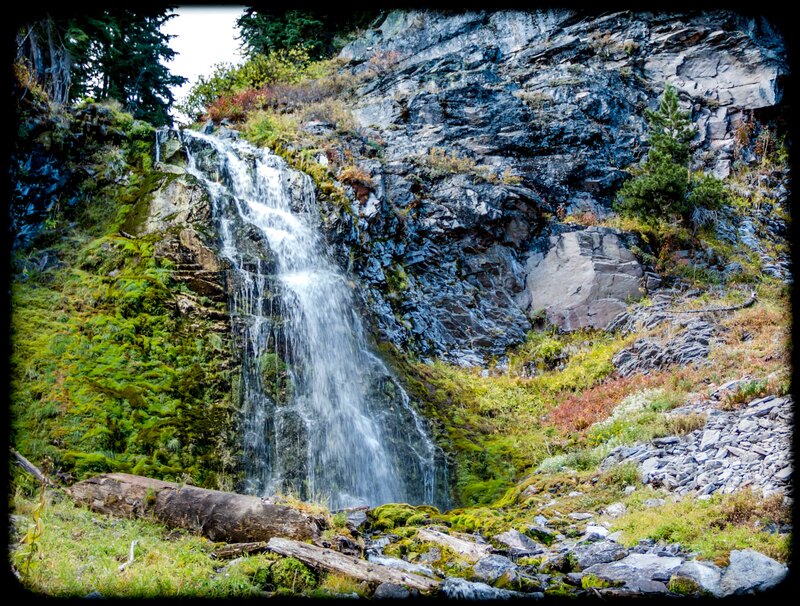 An easy hike in the park took us to Plaikni Falls, created by a stream originating at a spring formed by seepage from the caldera. The lake was created when a super volcano named Mt. Mazama collapsed after a week long eruption 7700 years ago. This is very recent in geologic history and would have been witnessed by Native Americans living in the area at the time. Mt. Mazama is part of the Pacific Ring of Fire which includes volcanoes in Oregon, Washington, Alaska, Japan and Indonesia. The eruption of Mazama collapsed the 12000 foot mountain and created a caldera. The caldera was then gradually filled with rain and snowmelt creating the lake we see today. 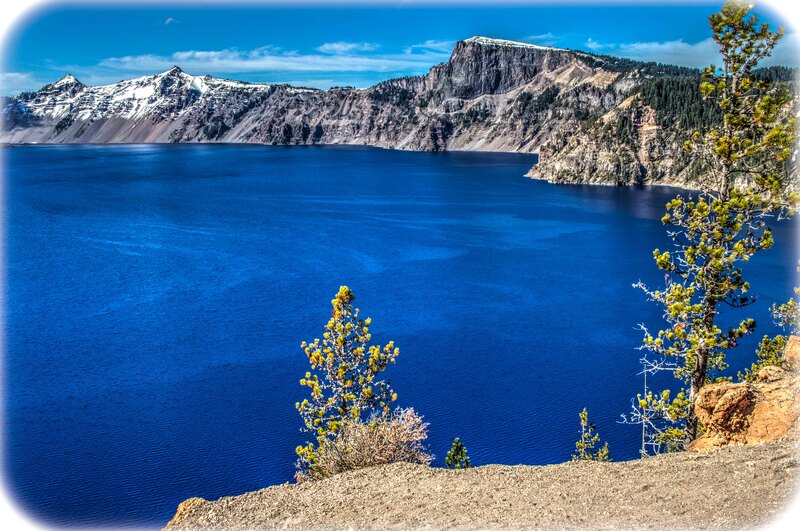 There is no river flowing into or out of Crater Lake. 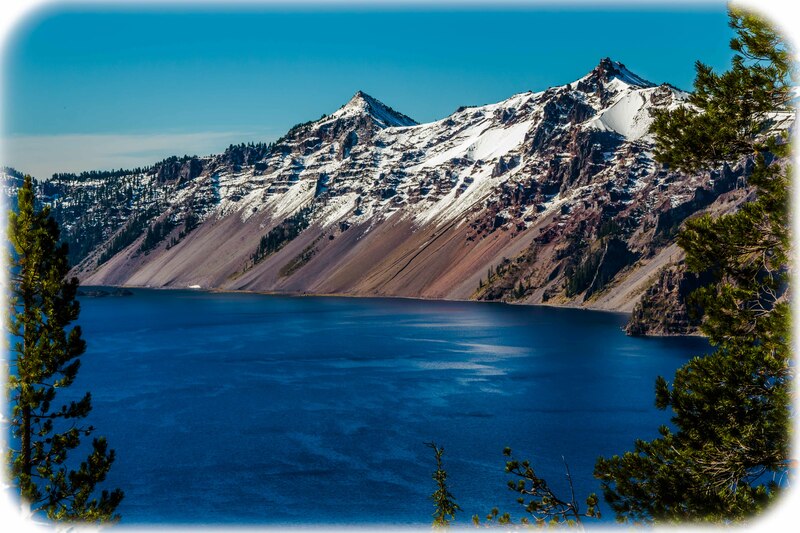 At over 1900 feet deep it is the deepest lake in the USA and holds some of the purest water on earth. The purity provides the spectacular blue color. 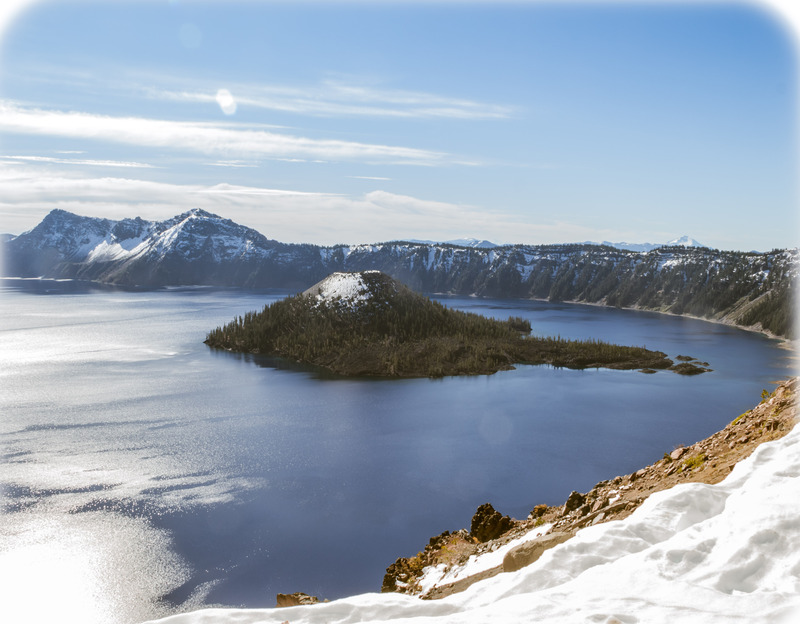 Those fortunate enough to see the movie “Wild” will understand the majesty of Crater Lake. 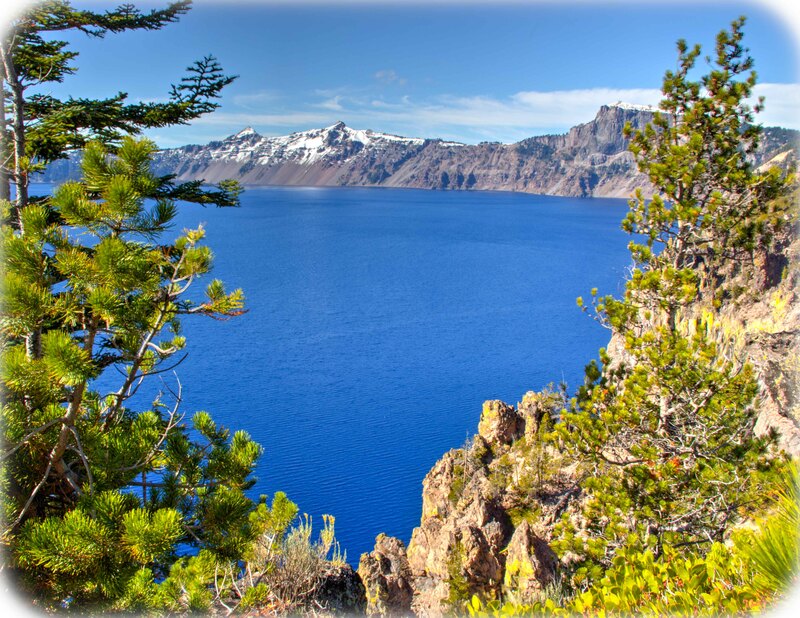 The opportunity to see things like Crater Lake is what our lifestyle is all about. Everyday we get up with the chance to enjoy the beauty of our world. Crater Lake is one such beauty. 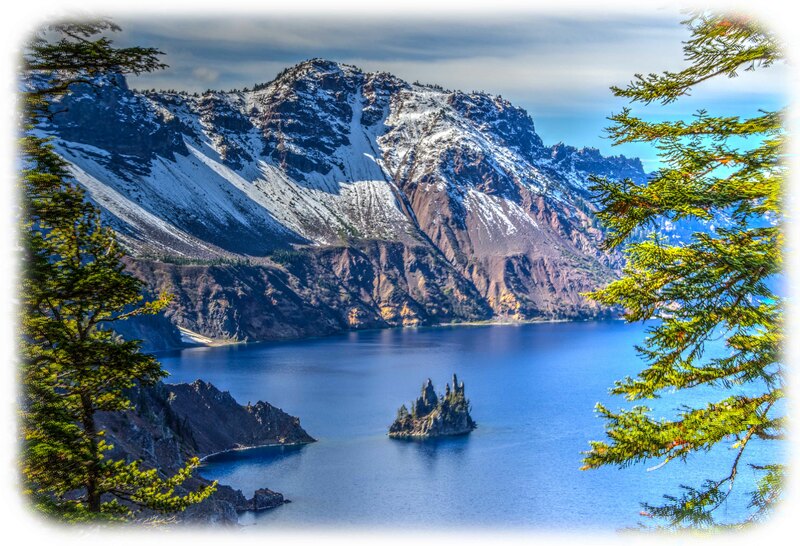 This entry was posted in national parks, Oregon, RV Travel and tagged Crater Lake National Park, movie "Wild". Bookmark the permalink. Hi guys, what beautiful pictures. Crater Lake has always been one of my favorite landmarks. Sure wish you were coming through Boise.